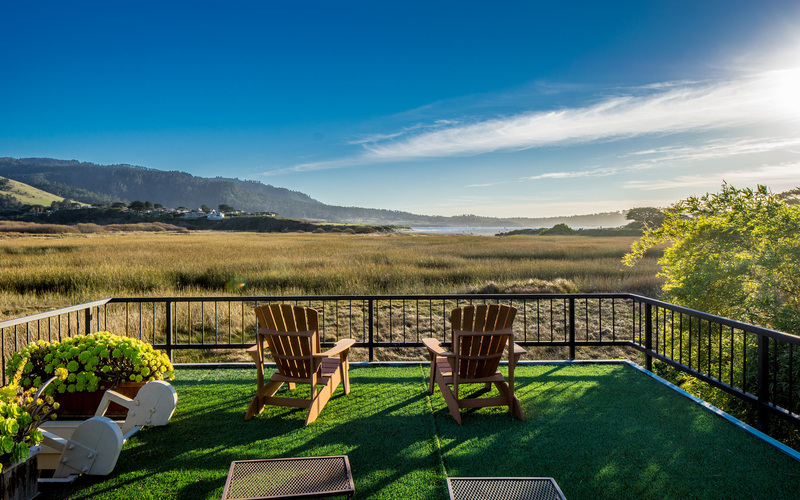 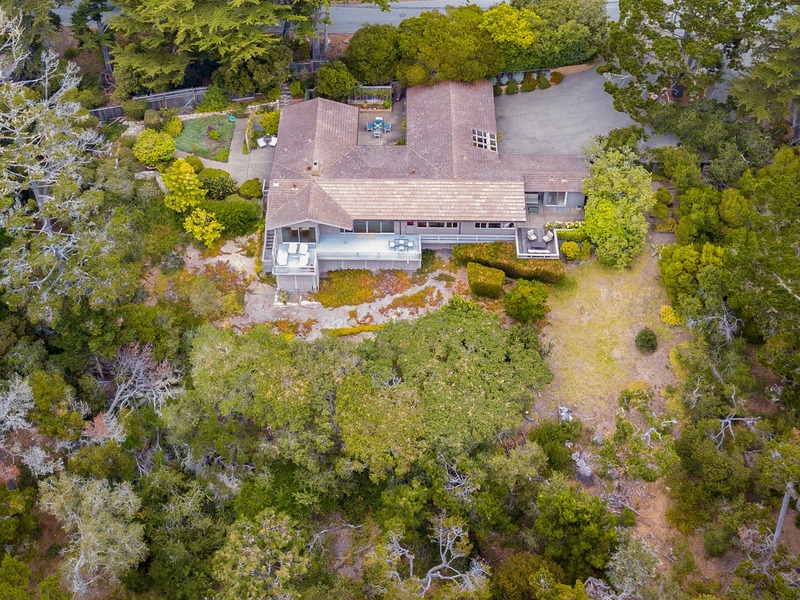 Enjoy beautiful ocean and Point Lobos views from this comfortable single-level, Post Adobe, 3-bedroom, 4-bath home set on a 1+ acre site not far from the Pebble Beach Lodge. 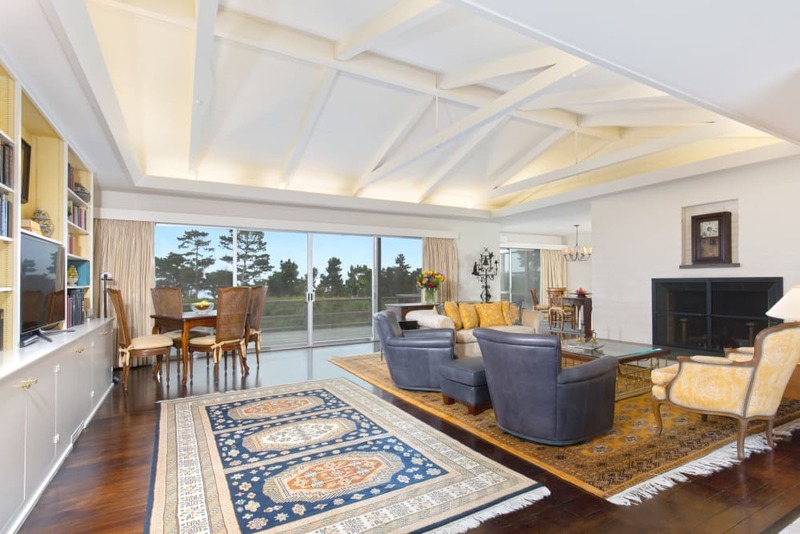 The spacious beam-ceiling living room with fireplace and built-in bookcase opens to a view deck that surrounds the front of the home offering 3 separate seating areas. 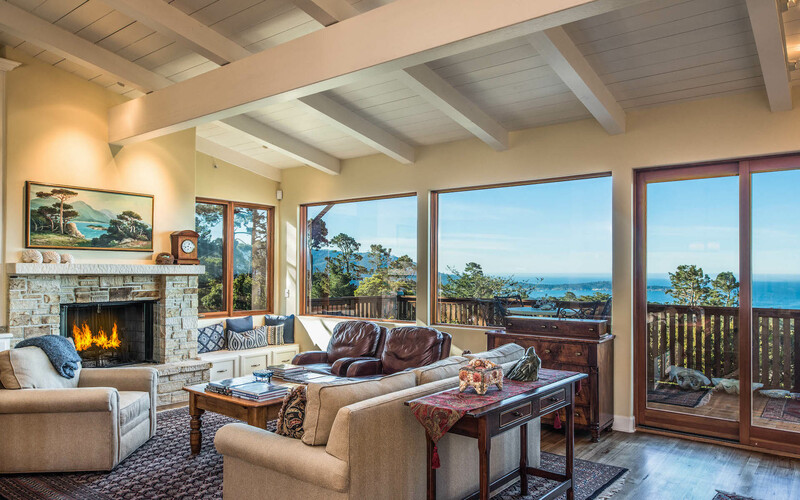 The cheerful kitchen with garden window also enjoys ocean and forest views. 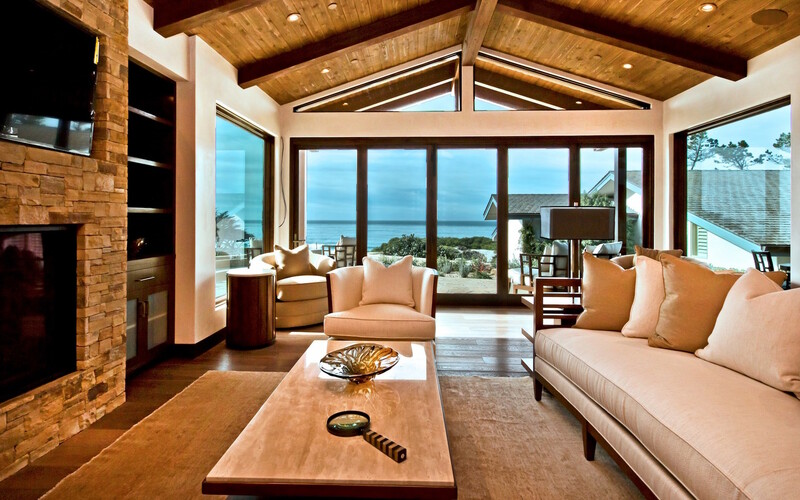 The spacious master bedroom with cedar-lined closets opens to a patio with seating area. 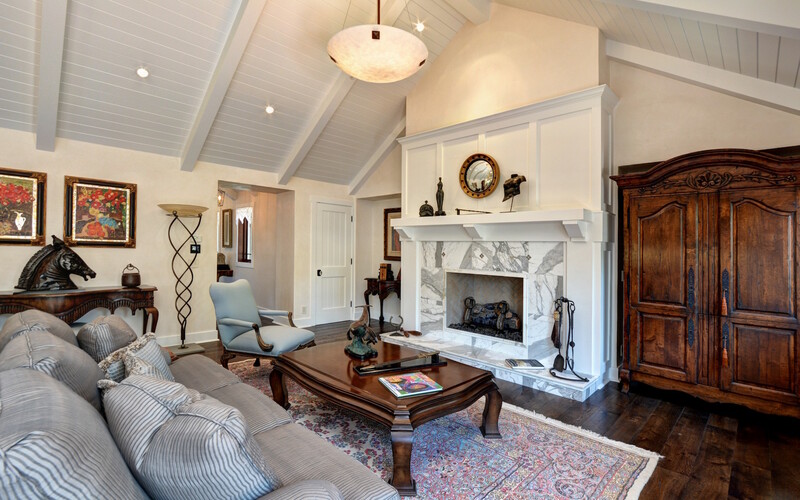 The home also features an interior courtyard with exposed aggregate patio and water fountain.